Lancaster quiz their way to victory! On Saturday 5th May, Lancaster and York’s brainboxes battled it out in a very close game of University Challenge. 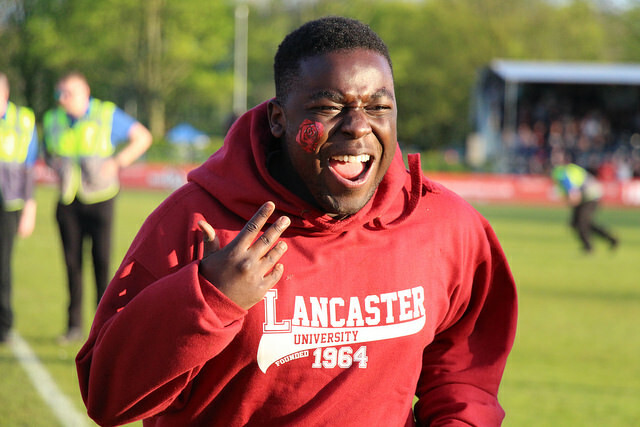 Lancaster won the quiz with 135 points to York’s 120, securing Lancaster four points for Roses. I was looking forward to this event, as I naively thought it would not be as tough as that seen on the TV. I was sadly mistaken, and only knew the answer to one of the questions: my Psychology A-level finally proved its worth. Cavendish Colloquium was packed with a supportive audience; a group of York spectators were reprimanded for being a little too vocal. The quiz dived straight into the confusing depths of geology and science, and York gained the first starter for ten but failed to correctly answer their bonus questions. Lancaster retaliated by correctly answering the next starter for ten and one of their bonus questions. In the first twenty minutes or so, Lancaster dominated with correct answers and accumulated a score of 70, but then York began to catch up. With eight minutes left, York had 95 points to Lancaster’s 90. Before the picture round, York boosted their score to 120. In the brief picture round, Lancaster recovered some of their dignity by securing a starter for ten and two bonus questions. Another starter for ten then tied Lancaster with York’s 120 points. Before the thirty minutes of the game were up, Lancaster correctly answered another starter for ten and one bonus question, allowing them to win the quiz with 135 points. I have never witnessed a more intense half-hour.